Voodoo West Studio invites you to record your next audio project in an intimate, friendly and quiet environment utilizing the latest digital technology. Although we are a small-scale studio, we can accommodate big dreams at an affordable price. 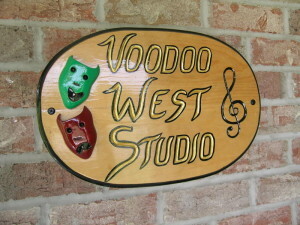 Voodoo West can help you work your musical magic! Voodoo West is the home of MUD Music!